The identities of three of the four US Green Berets killed in Niger have been revealed to the public. The special forces were attacked and killed by assailants suspected of being affiliated with Al-Qaeda in the Islamic Maghreb (AQIM), an Islamic militant group. On Wednesday, ten to 12 Green Berets were accompanying a patrol of Nigerien forces about 120 miles north of the capital city of Niamey. They came within 20 miles of the Mali border, whereupon approximately 40-50 assailants attacked. AQIM is one of several militant groups currently in revolt against the Malian government. The ambush was successful, killing four Green Berets and five Nigerien troops. Gunships from France, which runs their own military operations in Mali, arrived at the scene and dispersed the ambushers. Three Green Beret deaths were confirmed by the Pentagon almost immediately, with the fourth announced on Friday. The US Army identified three of the killed men as part of 3rd Special Forces Group (Airborne): Staff Sgt. Bryan Black, 35; Staff Sgt. Jeremiah Johnson, 39; and Staff Sgt. Dustin Wright, 29. Black enlisted in 2009 and was a medical sergeant; Johnson enlisted in 2007 and was a chemical, biological, radiological and nuclear specialist; Wright enlisted in 2012 and was an engineer. All three men had won awards for their service. They were recipients of the Army Good Conduct Award (awarded for three years of "honorable and faithful service" with no disciplinary infractions) as well as the Army Service ribbon and the Parachutist Badge. Black had also received the Ranger tab, awarded to soldiers who complete the notoriously difficult 61-day Ranger training program. Johnson has received the Army Commendation Medal (awarded for soldiers who distinguish themselves with an "act of heroic, extraordinary achievement, or meritorious service") and the Army Achievement Medal ("for non-combat meritorious achievement or service"). Wright, the youngest of the three, received the Joint Service Achievement Medal, a lesser achievement than the Commendation Medal. Three US Green Berets Killed in Ambush in Niger, But What Were They Doing There? The fourth Green Beret, who was missing after the strike and was later found dead, has not had his identity revealed to the public yet. "The body of another US service member has been recovered from the area of the attack bringing the number of US service members killed in this attack to four," Department of Defense spokesman Col. Rob Manning told reporters. The missing soldier was not believed to have been captured by enemy forces, but it isn't clear how he got separated from the rest of the patrol. Two other Green Berets were injured in the firefight and were evacuated to a military hospital in Germany, where they are both expected to make a full recovery. The bulk of US operations in Niger come of out two drone bases, with a total of 800 American soldiers stationed in the West African democracy. 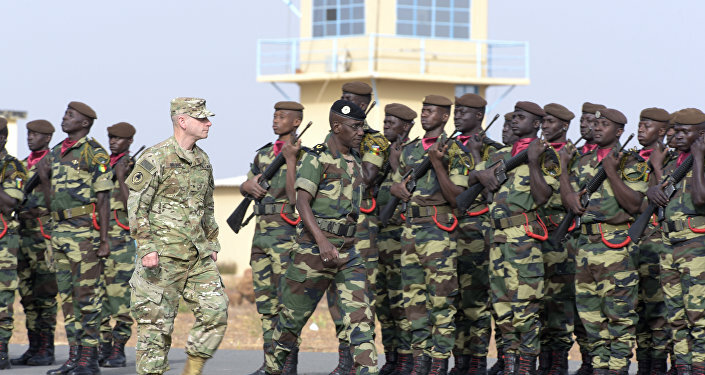 Although the US operates surveillance drones and other aircraft from these bases to support Nigerien, Malian and French counterterror missions, Niamey does not allow the US to operate armed drones within their borders. 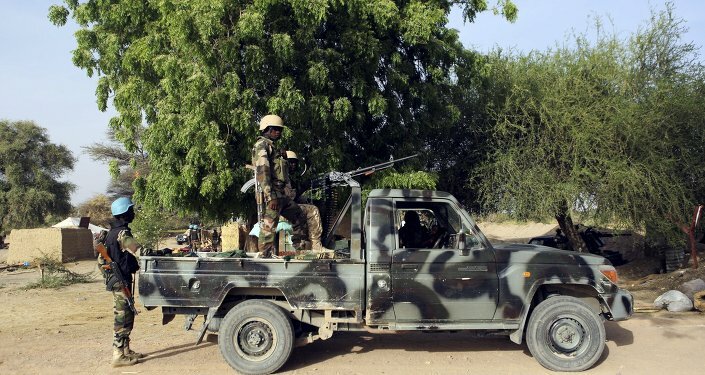 "US forces are in Niger to provide training and security assistance to the Nigerien Armed Forces, in their efforts to counter violent extremist organizations in the region," wrote US Africa Command in a statement released shortly after the ambush. "Niger is an important partner of ours, we have a deep relationship with them," Lt. Gen. Kenneth McKenzie, the director of the Joint Staff, told reporters on Thursday. "We are committed to that relationship, we believe that they are as well, in fact; I think it's a very good success story."